- Cooking Zones: 4 - Surface Top: Ceramic - Touch Controls: Yes - Pause - Boost - Induction - Easy cleaning - QuickCook Timer - Child safety device - Perfect heat control - Touch on glass controls - Residual heat indicators - Frameless ceramic glass is stylish and so easy to clean. 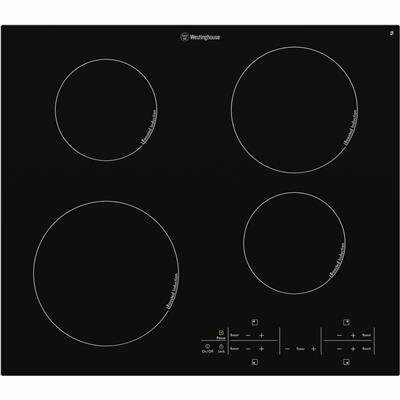 The Westinghouse WHI644BA Kitchen Cooktop was added to the Kitchen Cooktops category in June 2016. The lowest price GetPrice has found for the Westinghouse WHI644BA Kitchen Cooktop in Australia is $896.00 from Billy Guyatts. Other merchants who stock it are Billy Guyatts, ozappliances.com.au, Bing Lee, Appliance Central, Appliances Online.